As the raptors with the longest wingspan in the world (315 centimetres/10.5 feet), Andean Condors would be unmistakable even without their distinctive bald heads, feathered white ruff and white wing bars. They are also the only New World (American) vultures which display sexual dimorphism, as males have fleshy combs on the top of their heads and neck wattles, females have neither. The male bird is also larger than the female, but both sexes have strong legs, powerful claws and a sharp, hooked bill for tearing into carcasses. Vultures across the world share features such as a bald head (which keeps the head clean of blood and entrails whilst feeding), long necks and wide, rectangular wings used to glide up thermals with long finger-like primaries to reduce drag. However, New World vultures lack a functional hind toe and have no internal separation of the nostrils so that when viewed from the side it is possible to see right through the head. The Andean Condor only breeds every two years, when there is ample food. These long-lived birds mate for life, which means the population has a long recovery time when affected by changes in their environment, such as human persecution. They roost in groups, sometimes of a hundred or more individuals, though their declining population is making this now a rare occurrence. They perch and nest in small rookeries on cliffs, laying their eggs on bare rock. As opportunistic carrion feeders, they often soar long distances across the sky to find carcasses, using their keen eyesight to spot congregations of other raptors or scavengers. Once they have landed, their size makes them dominant over other avian scavenger species, such as turkey vultures. They are the national bird for Bolivia, Chile, Colombia and Ecuador. They are found throughout the west of South America, along the Andes in Venezuela, Colombia, Ecuador, Bolivia and Paraguay. Their range descends to sea level in Chile and Peru where they may scavenge along the coastline. 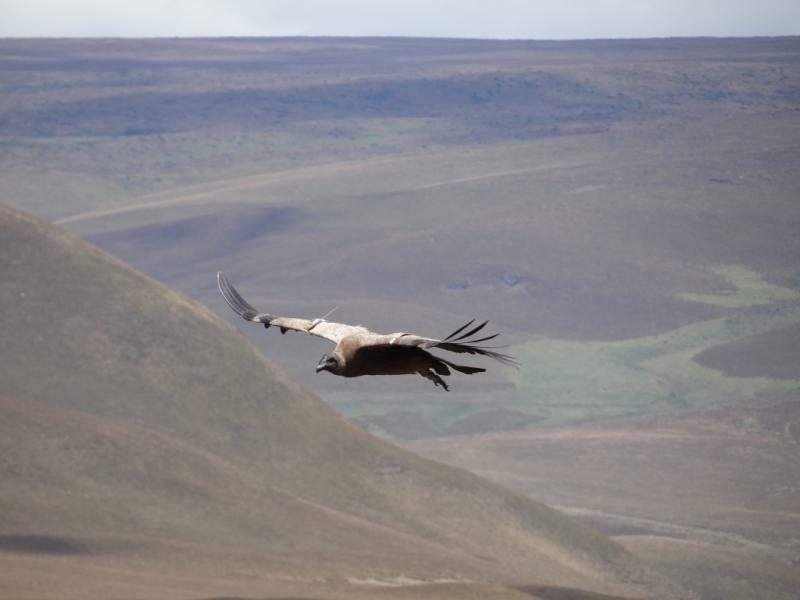 They are found soaring over high mountains and open grassland descending to lowland desert and coastal regions. All vultures feed on carrion and so are vulnerable to the poison that may be planted in dead prey by humans. This has had a massive impact on vulture numbers worldwide. Andean Condors mainly feed on carcasses of quite large mammals, including domestic livestock and marine mammals, but it is their suspected predation on newborn cows and goats that has been used to justify human persecution. The declining population is thought to include less than 7,000 adult birds. This bird is most threatened in the north of its range, to the point that it is actually rare in Venezuela and Colombia. 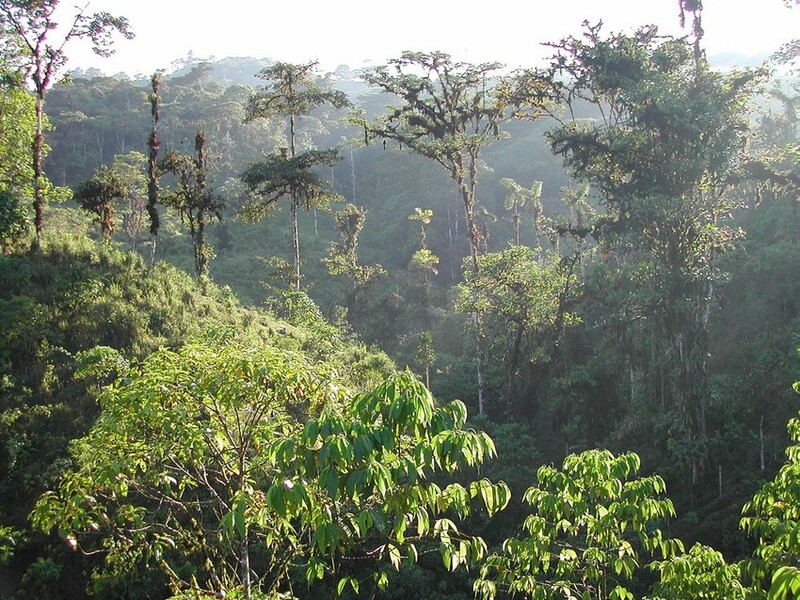 In 2014, WLT helped Fundación Jocotoco purchase Antisanilla Biological Reserve, 7,000 acres (2,833 hectares) on the western slopes of the Antisana Volcano in central Ecuador. This secured one of the most important nesting and roosting areas of Andean condors in South America. Couve, E., & Vidal-Ojeda, C. (2003). Birds of Patagonia, Tierra Del Fuego & Antarctic Peninsula: The Falkland Islands & South Georgia. Editorial Fantástico Sur Birding.